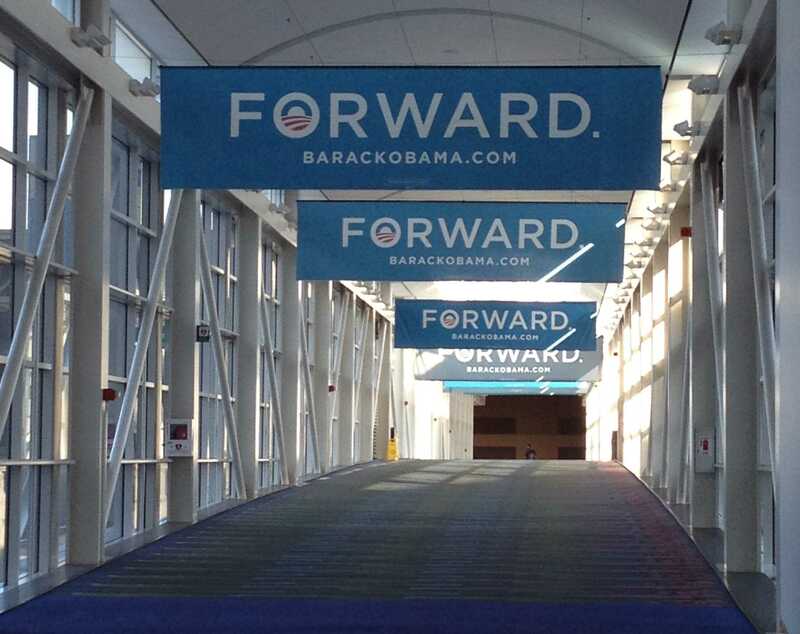 Obama campaign banners greet McCormick Place visitors Sunday. The president is attending an Election Night party at the Chicago convention center. President Barack Obama will spend Election Day in Chicago as his opponent, former Massachusetts Gov. Mitt Romney, hits the campaign trail for two final events in Ohio and Pennsylvania. Obama has no plans to leave Illinois on Tuesday and will likely continue his Election Day tradition of playing basketball with close friends and aides, campaign spokeswoman Jen Psaki told reporters this afternoon. The president and first lady are expected to return to their Kenwood home in Chicago after a final rally tonight in Des Moines, Iowa. Psaki hinted that Obama will devote some time on Election Day to “looking for an opportunity to thank” his campaign’s volunteers. Vice President Joe Biden and the second lady will land in Chicago on Tuesday afternoon, according to the White House. The Bidens and Obamas will appear Tuesday night at a semi-private watch party at McCormick Place. The convention center gathering is not expected to mirror 2008’s jubilant celebration in Grant Park, when nearly a quarter million Obama supporters cheered on the president-elect’s victory speech. This year, Obama’s Election Night party requires tickets, many of which are reserved for campaign volunteers. The Chicago Tribune reported Sunday that CNN is talking to state officials about hosting a more public watch party near Chicago’s Thompson Center. Romney will vote Tuesday morning near his residence in Belmont, Mass., before shipping out for his final rallies in Cleveland and Pittsburgh. 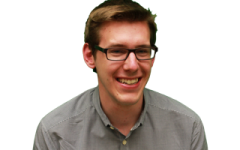 Four years ago, Obama stumped in then-swing state Indiana while Republican presidential candidate John McCain appeared at a campaign event in Colorado. The Republican National Committee is throwing an Election Night party for Romney at the Boston Convention and Exhibition Center.